It’s a common notion among college students that we can only pick two of the following three things: academics, extracurriculars, and social life. Here at Penn State, like people at every other university, some pick only extracurriculars and social life, trying to enjoy themselves as much as possible in the four years that we have as undergraduates. On the other hand, some pick only academics and extracurriculars, trying to build a solid resume that will bring them future success. Finally, there are some brave souls who dare to pick all three. Since coming to college, I’ve had to make some crucial decisions. The amount of in-class hours is significantly less from high school to college. However, the amount of out-of-class studying required is significantly higher. All of the time in between these two things, however, is up to each individual to delegate to each activity, whether extracurricular or social. My true passion is dance, and I have joined three dance establishments: Ghaam, the garba-raas team, salsa, and belly dancing. This makes for five practices a week, which keeps me busy and gives me a good outlet from studying. 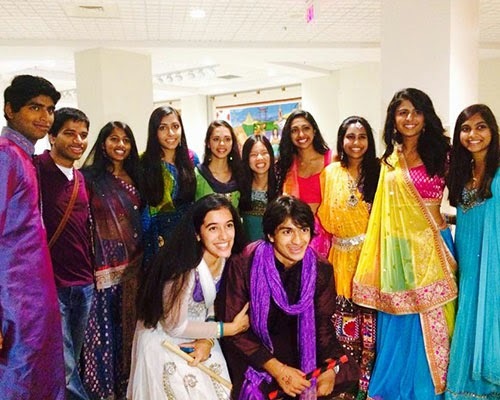 Additionally, I joined the South Asian Student Association in order to meet other Indian people and keep in touch with my culture. With a student base of 40,000 people here at Penn State, meeting people is not at all difficult. Some of my best nights here were spent eating, dancing, and just talking with my floor mates into the early hours of the night (of course, we all regretted this when we were unable to wake up for our 8 a.m. Chem class the next morning). All the while, as an Elks scholar, I am making a difference in my community and working to fulfill my duties as the freshman representative of the Elks Scholar Advisory Board. I hope all my fellow Elks scholars are enjoying their time in college, finding that balance between academics, extracurriculars, and social life, and staying true to themselves and their roots. So, fellow Elks scholars, how do you find time to balance your academic and social live at school? Post in the comments below to let me know. Until next month!